We are excited to offer charcuterie platters for sale in the Tasting Room. 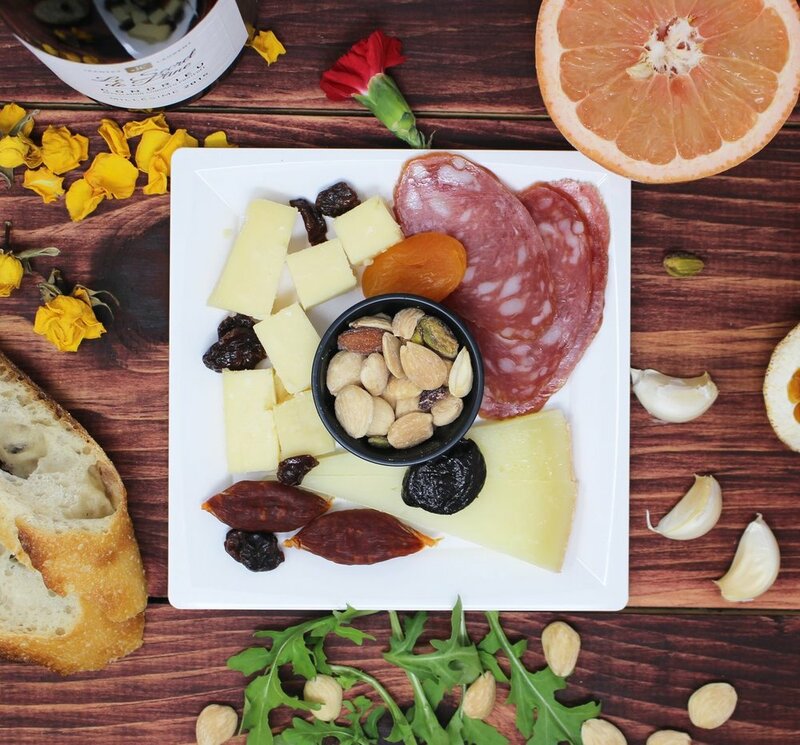 Crafted by Cured & Cultivated, a local company specializing in cured meats and cheeses, these charcuterie platters pair perfectly with Oso Libre wine. Featuring cured meats, cheeses and nuts, these are the perfect accompaniment to your next wine tasting adventure. Wine Club members may reserve a charcuterie platter (perfect for two,) with your tasting, online through our reservations page.